Smiling relaxes your whole body and all your muscles, relieving any tension or stress you’re under. At the same time, your body will also be able to relax and recharge – helping you to power through a working day. Smiling and laughing has been proven to boost your immune system, decreasing your risk of picking up bugs in the workplace and increasing the levels of antibodies that resist illness. In fact, one study found that hospitalised children visited by entertainers who made they smile and laugh had a higher white blood cell count that those children who weren’t visited. Smiling, having fun, and generally being happy allows endorphins to be released – the body’s happy hormones. These help you to feel good and maintain a good sense of wellbeing. When you smile, it’s a welcoming signal to others. You’ll be more approachable and attractive to others – meaning you’re more likely to make friends and integrate better in social situations. One of the cheapest and easiest ways to look younger is to smile. Yes, smiling lifts the face and according to studies has shown to make people look around three years younger! Lastly, it’s contagious. 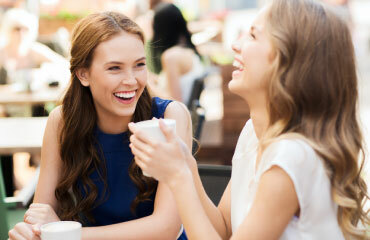 When you smile, you make others feel good too – and what could be better than that? As humans, we tend to mimic other’s facial expressions – it’s just natural. So, by smiling at someone, it’s likely that they won’t be able to help but smile back. National Smile Month not only advocates a reason to smile, it’s also the largest and longest-running campaign to promote dental health. As part of the campaign, we’re all being encouraged to maintain a healthy mouth and healthy smile, through proper dental care and nutrition. To support the campaign, why not get involved? Your workplace or school can get involved in a Smileathon or a Brushathon. For your Smileathon, you’ll need to snap and sharing photos of you and your colleagues posing with the campaign Smileys, which you can purchase online. For your Brushathon, you’ll need to get together as many people as possible in one location for a big, communal brush. With the Guinness World Record for most people simultaneously brushing at 177,003, it will be hard to beat – but why not set up a huge social media campaign and give it a try? If you want more information on how to look after your smile, book an appointment to see your AP Smilecare dentist today. 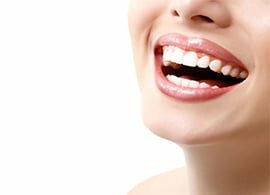 We are a professional and friendly dental practice based in Blackburn and offer a wide range of general and cosmetic dentistry such as teeth whitening and dental implants. You can contact the team on 01254 297 000.